Dawes: "Time Spent in Los Angeles"
Blitzen Trapper: "Love the Way You Walk Away"
Dawes and Blitzen Trapper hit New York tonight at Webster Hall, for a stacked bill. It’s been a groundbreaking year for Dawes on the back of their latest effort – Nothing is Wrong (ATO). 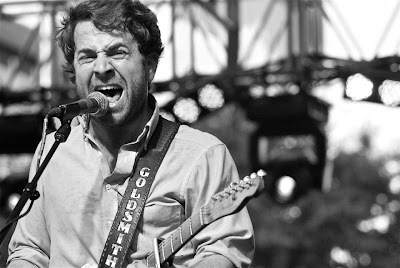 With several US-spanning national tours, including the current tour with Blitzen Trapper, and over 30k records scanned, Dawes have established themselves as power-players on the current musical landscape. They have a special connection with fans (casual and diehard) in that people WANT them to succeed. Despite never speaking with them personally, Dawes have a trusted and valued team working with them, and the band’s earnestness and passion come across in every song and live show. Shockingly, tonight will be our first live experience with a band we’ve been longtime fans of. We’re certainly looking forward to it. The remainder of Dawes tour dates are after the jump. The above is not to take anything away from the amazing Blitzen Trapper who share the bill tonight. Their deeply satisfying new record American Goldwing is out now.